Pam's Incredible Edibles in Montgomery, AL has over twenty-five years of professional experience. The Pam's Incredible Edibles name is backed by a talented, dedicated team of bakery assistants. This team is headed by Pam Hawkins, owner and operator. 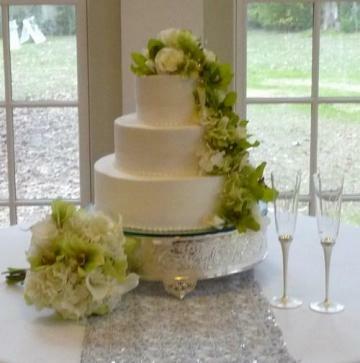 Pam specializes in wedding cake design and culinary artistry, has a reputation as an accomplished Wedding Design Professional, and also has a natural flair for creating cherished memories of your most special occasions. Her creative resources include, but are not limited to: beautiful cake designs and professional delivery and presentation.